As I mentioned in a blog post at the beginning of this year, Minnesota adopted a new building code on January 24th. 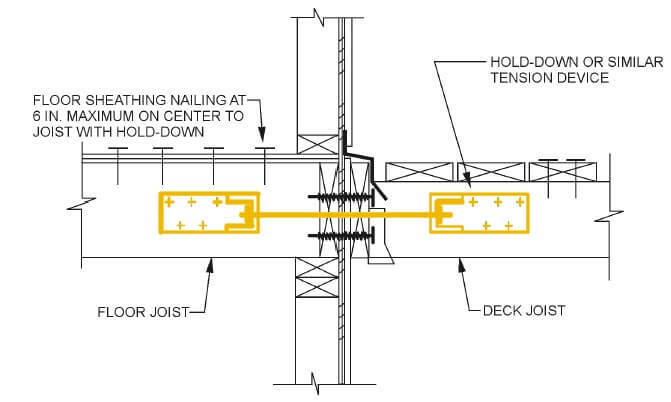 I covered a few of the most significant changes, but one of the bigger changes that I never talked about is the addition of a whole section on deck construction. 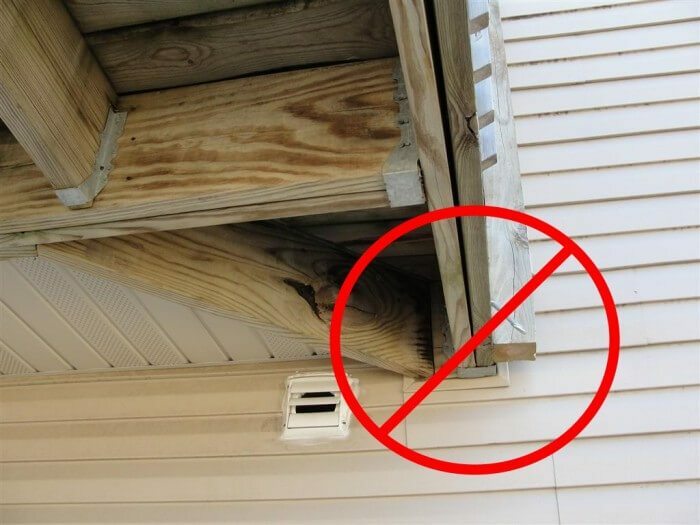 I decided to wait until May to cover the stuff on decks, because the North American Deck and Railing Association says May is Deck Safety Month®, and they've partnered up with ASHI to promote deck inspections by ASHI Certified Inspectors. There has never been much in the Minnesota State Building Code specific to decks, but now there is. Just browse to section 507 of the 2015 Minnesota Residential Building Code to see it all. It's not much, but it's a lot more than what we used to have. Chapter 5 of the Minnesota State Building Code can be viewed online here http://codes.iccsafe.org/app/book/content/2015_Minnesota/Residential/Chapter%205.html, but that's as good as of link as I can give. You need to scroll down a ways to get to section 507, and none of the text at that page can be copied. To navigate directly to section 507 of the 2012 IRC, which is exactly what Minnesota uses, click this link instead: http://publicecodes.cyberregs.com/icod/irc/2012/icod_irc_2012_5_sec007.html. The text there can also be copied and pasted, which I feel is nice. If you want an excellent document that explains how to build a deck that conforms to the 2012 IRC, download the free Prescriptive Residential Wood Deck Construction Guide, based on the 2012 International Residential Code. Anyone who inspects or builds decks ought to have a copy of this document, and have it available on their smartphone or tablet at all times. It's great. As far as I'm concerned, this is the biggest change that deck builders will now be required to make in Minnesota. 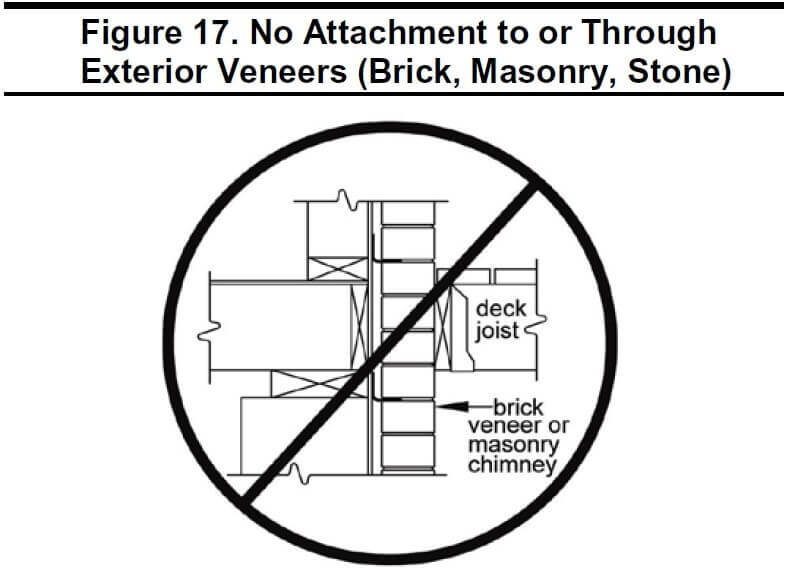 In section R507.1, the code says "Where supported by attachment to an exterior wall, decks shall be positively anchored to the primary structure and designed for both vertical and lateral loads." Then in section R507.2.3, the code says "The lateral load connection required by Section R507.1 shall be permitted to be in accordance with Figure R507.2.3. 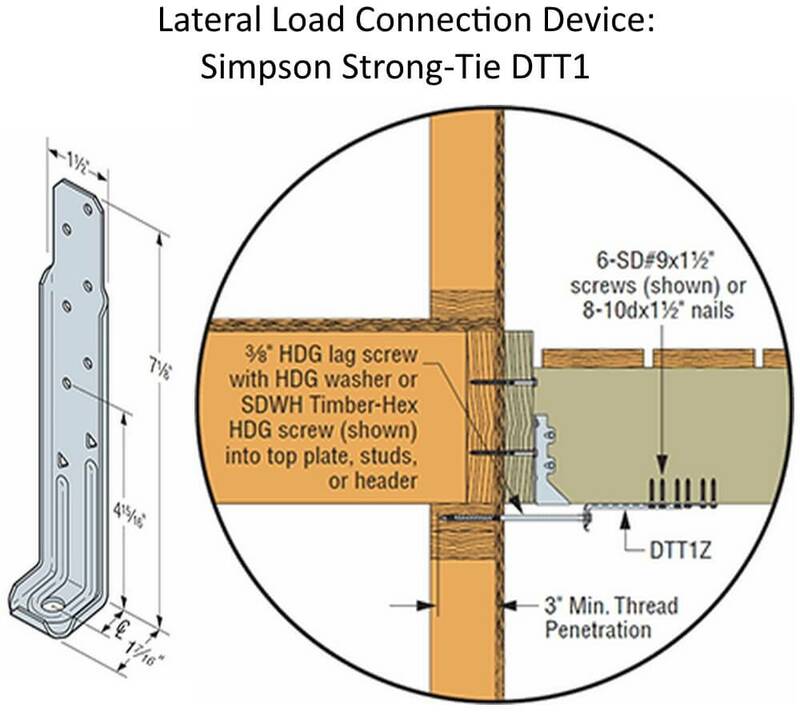 Where the lateral load connection is provided in accordance with Figure R507.2.3, hold-down tension devices shall be installed in not less than two locations per deck, and each device shall have an allowable stress design capacity of not less than 1500 pounds (6672 N)"
The diagram below shows figure R507.2.3, but I colored the lateral load connection device that they're referring to orange: This is just one type of lateral load connection device, and this specific device doesn't need to be used. They're just showing one example of a device that could be used. While effective, this particular device would be especially difficult to install, because it would require a lot of access to the framing inside the home, and would also require the building official to have to verify that the floor sheathing was nailed at 6" maximum on center. How in the world is the building official supposed to do that on an existing home? Rip up the flooring? I think not. 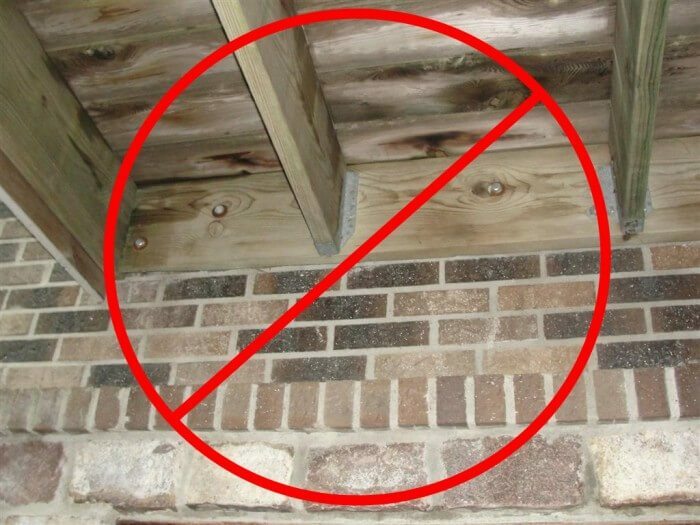 Section R507.2.2 says "Girders supporting deck joists shall not be supported on deck ledgers or band joists." The photo below shows what this means. The fix for all of these situations shown above would be to have the deck be self-supporting. In other words, it wouldn't rely on the house for support. * Most products aren't specifically approved by the building code. 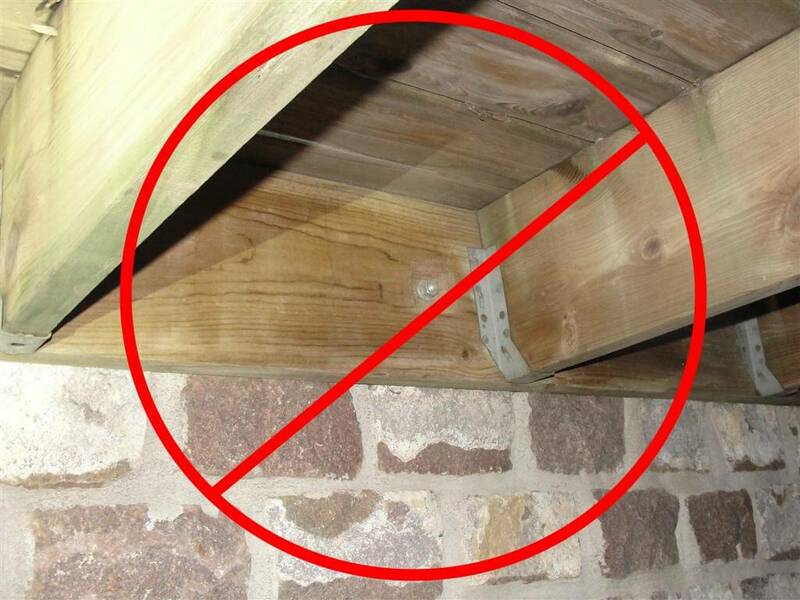 More on that topic in last week's blog post: Are Diamond Pier footings approved for decks in Minnesota? Answers from the 20 largest cities. Home Inspector: Are Diamond Pier footings approved in your city?